9:15 am Keep Fit Class run by a qualified instructor, open to men and women. Tel 020 8559 0222 for details. Use the Westbury Lane door. 10:30 am -12:30 pm Monday Art Group. Enthusiasm is more important than ability: open to everyone. Places each week will be on a first come-first served basis for those already registered with Me & You, as numbers have to limited in order to maintain a safe, enjoyable environment. If you are new, please contact the office (020 8559 0222) to be placed on the waiting list. Life Group. Please speak to Kevin or Isabelle if you would like to attend. Short Mat Bowls. Come for a friendly game with like-minded people. Equipment available to borrow. Entrance in Westbury Lane. 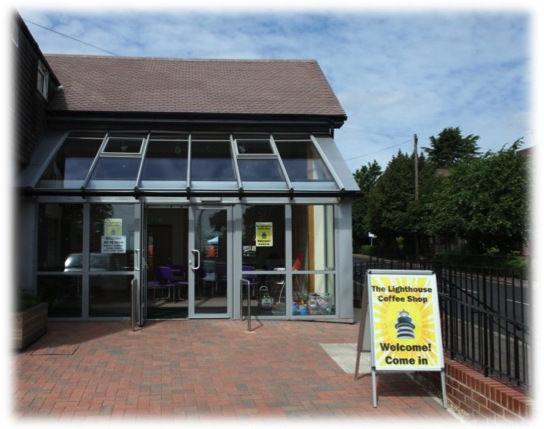 10:30 am ‘The Oasis ‘ Women’s Group meets for coffee/tea, cake, chat and a speaker. Creche available. Do come! Call the office for more details: 020 8559 0222. 8:00pm 20’s/30’s Life Group. Please speak to Toby if you would like to attend. 11 am – 1:30 pm ‘Caleb’ Luncheon Club for Young at Heart over-60s. Please telephone the Church Office by Wednesday in order to reserve your place. ‘139’ Youth Club for young people from School Years 7-11. Starts with Worship and a Word, followed by free time, with Pizza, Tuck Shop, Games & much more. Entrance via Main Church Doors. Tel 020 8559 0222 for more information and an sign-up form or email bethfarleybhbc@gmail.com. The Lighthouse Coffee Shop offers Espresso, Americano, Cappucino, Latte coffees; hot chocolate, and tea, together with cakes. Play area for children and a takeaway service available. Entrance via Palmerston Road. Pre-School aims to enhance the development and education of children under statutory school age in a parent involving, church-based group and to provide a safe, secure and stimulating environment. We have morning and afternoon sessions Monday-Friday.